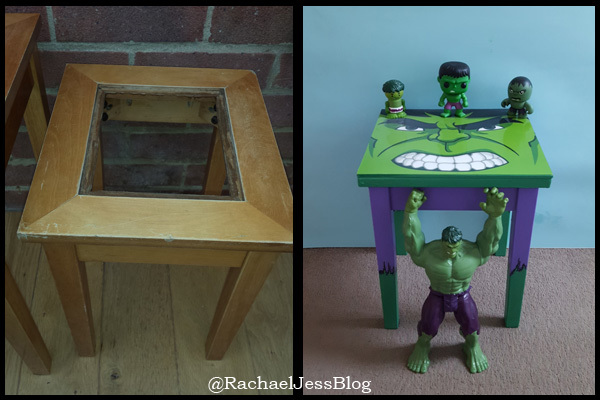 3 years ago I picked up a tatty old nest of tables from my local free up page on Facebook. 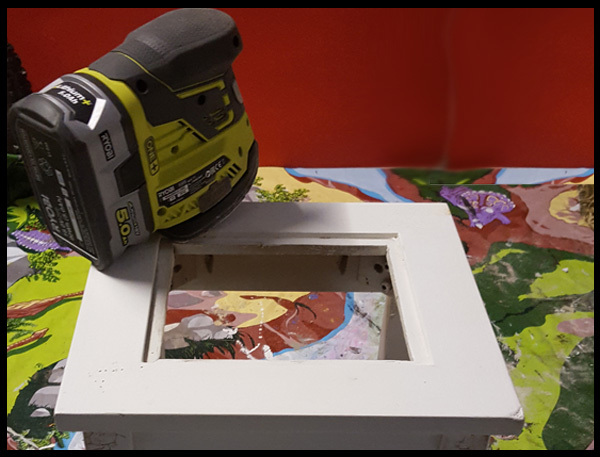 I had every intention of upcycling these tables by using waterslide decal paper, but I smashed the smallest table's glass and on further inspection of the remaining glass, there was mould on it! 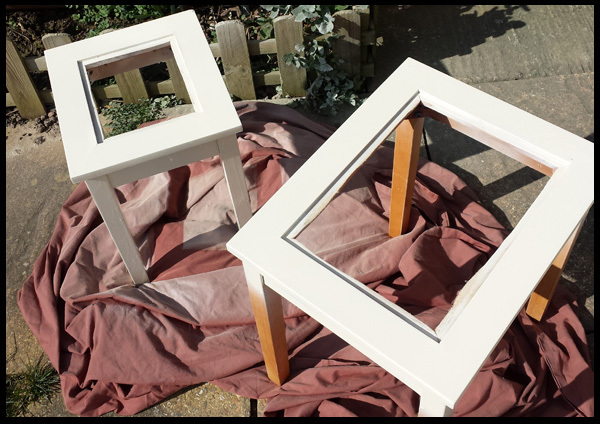 I discarded the glass, sanded the tables down and sprayed them white. I had every intention of creating a black and white look, but I lost a little love for these tables and put them in the garage which is where they lived until last month! 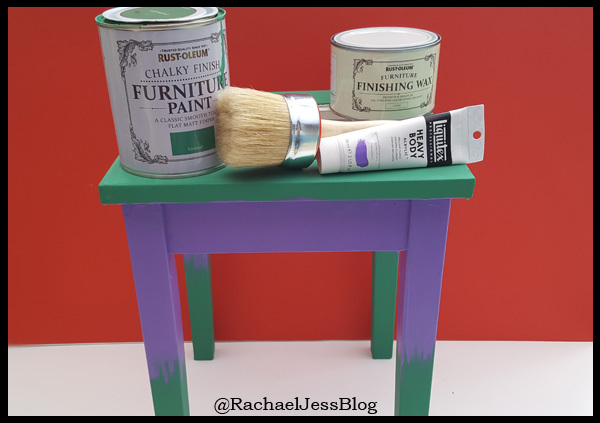 My son needed a bedside table, and as his bed is rather low I didn't want a standard sized table as I feared he'd smack his head on it, so I got the smallest table out of the garage and sanded it down... again. 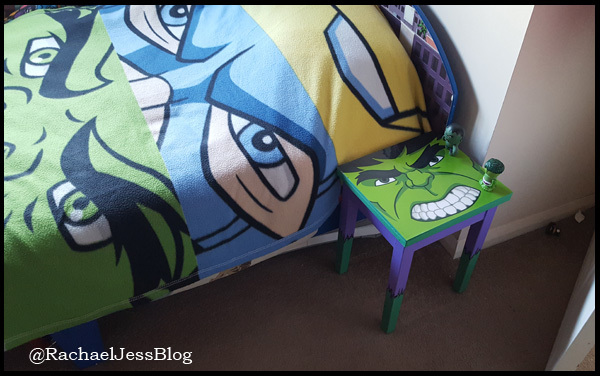 I used Rust-Oleum's Emerald Green chalk paint for Hulk's colour. I gave it a couple of coats and then covered the top half of the legs purple to give the ripped trousers effect. I used a black sharpie to define the outline of the tears and then covered the whole table with Rust-Oleum's furniture wax. 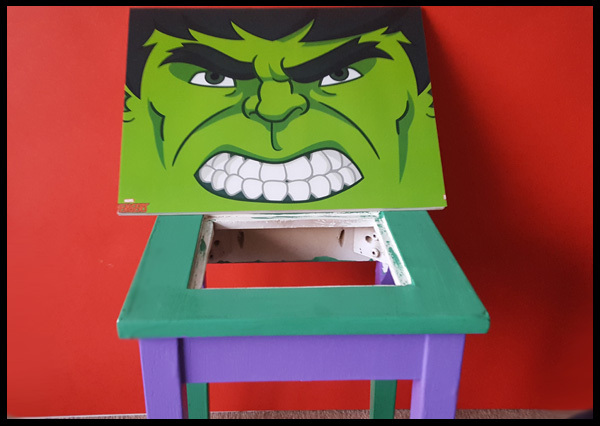 As the top was now without its glass, I had original intended on using one of my free tiles to place on top and use the waterslide decal paper with Hulk's face on, but the tile overlaps the table too much and as I don't want sharp edges we cut down some MDF instead. 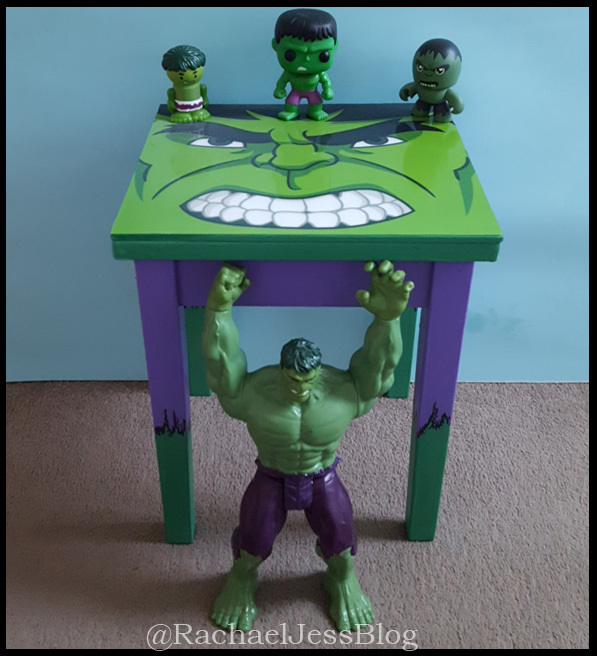 I found the perfect image to go on the top, a Hulk placemat which can be purchased from Amazon, I love these and also have Stormtroopers and Darth Vader for our dining table! The placemat needed to be cut to size but I think it works rather well, and it's the perfect size for my 5-year-old's room. He loves it, so that's a win in my books. Who's your favourite Avenger? I think Captain America would make a good table top image. I think I may turn one of the Storm Troopers into a coffee table for the front room.